Pocket devices that allow the measurement of noise dose to which workers are exposed. High performance instrument: Spectrum Analyser, Memory and USB port. 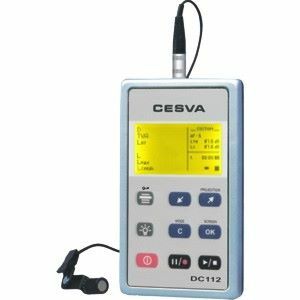 Ideal for the measurement of noise according to OSHA, MSHA, NIOSH, ACGIH, DoD, etc. Huge memory and USB connectivity. Instrument for the measurement of noise according to OSHA, MSHA, NIOSH, ACGIH, DoD, etc.